PURCHASE, N.Y.–(BUSINESS WIRE)–Across the globe, there is an increasing disparity between school-aged boys and girls who indicate an interest in science, technology, engineering, and math (STEM) related careers. Fewer than one in 20 girls consider a career in STEM, compared to one in five boys1. Today, Mastercard and Scholastic, the global children’s publishing, education and media company, announced plans to help raise awareness of STEM-opportunities among all students, reaching 20,000 classrooms, including 300,000 girls nationwide through hands-on, in-class materials. The free materials are based on Mastercard’s Girls4Tech program, launched in 2014 to help bridge the gap between opportunity, awareness and readiness. 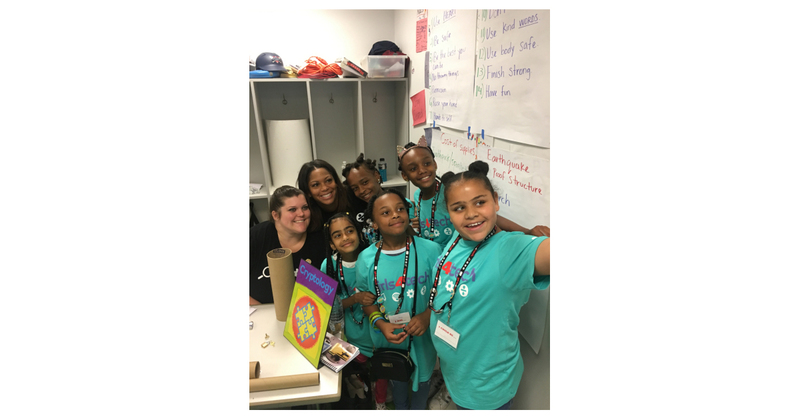 It provides schools and community organizations with resources to educate, inspire and equip young girls with the skills and confidence they need to envision themselves as future professionals in STEM fields. In just a few short years, Girls4Tech has reached nearly 75,000 girls in 21 countries around the world. Through the collaboration with Mastercard and Scholastic, Girls4Tech will significantly broaden its reach in the U.S. by making these curriculum and resources more accessible for teachers to introduce into their classrooms. Mastercard and Scholastic will work with teachers to adopt the Girls4Tech materials through a dedicated microsite on Scholastic.com, magazines and in-classroom guides. Teachers will have access to lesson plans and hands-on demos related to algorithms, encryption, fraud detection, data analysis, digital convergence and more. These materials were created in collaboration with some of the world’s top technologists and inspired by the power of the Mastercard network. The initiative also includes two contests: the Tech4Innovation contest encourages students to develop a future digital innovation to solve a real-world problem and the Teacher Sweepstakes asks educators to explain why their school would benefit from a Girls4Tech workshop event where students participate in activities based on innovation and technology. For more information about Scholastic (NASDAQ: SCHL), visit the Company’s newsroom mediaroom.scholastic.com.